I am very pleased with this case from Kinect Solutions. It is very easy to apply to my phone and also easy to remove. 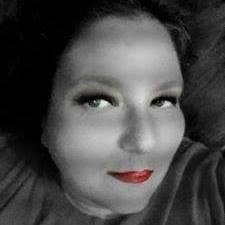 It comes in 2 different colors, as you can see I received the hot pink. 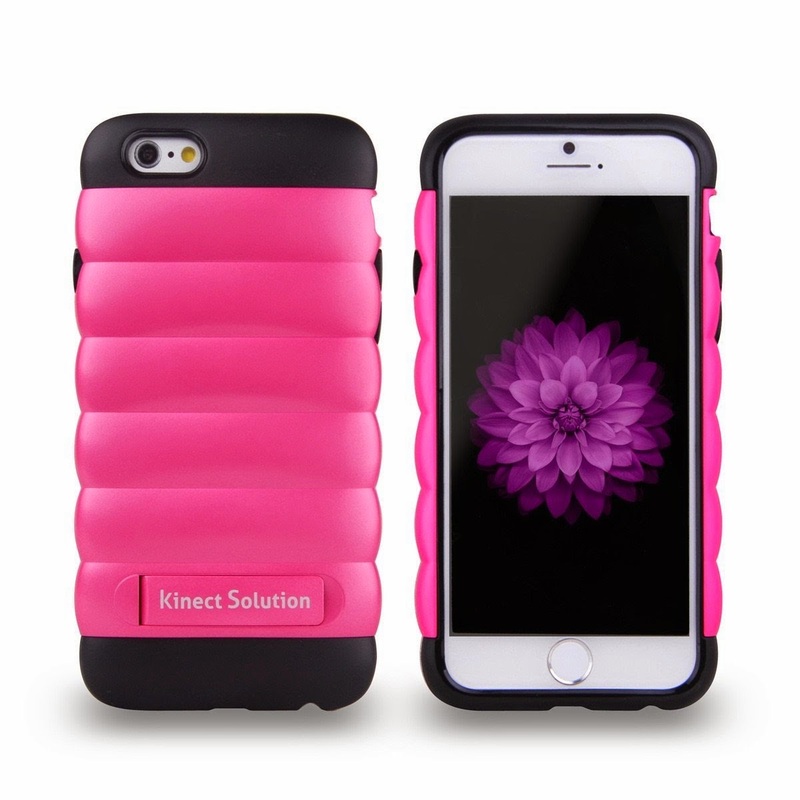 This case is a combination of a hard and soft shell. It also has a kickstand that I enjoy very much. In noway did it impede access to the ports, buttons or the screen of my phone. 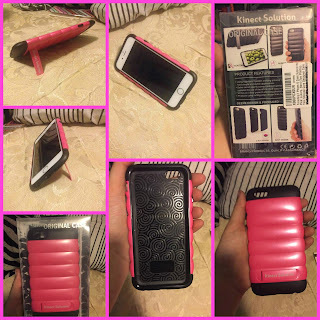 The case is not at all bulky and I like the added grip that the soft case adds to my phone. 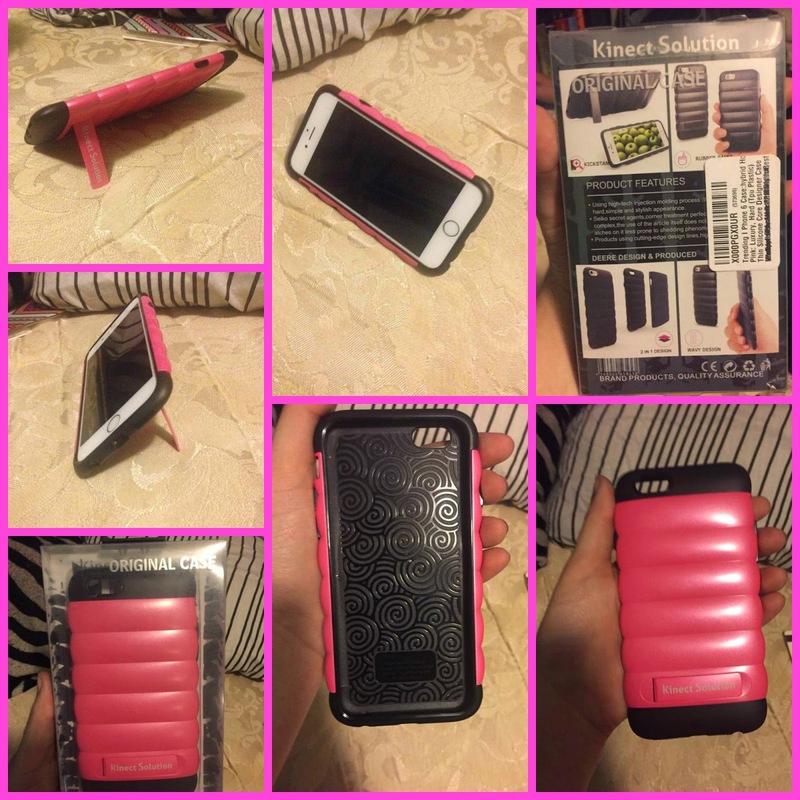 I have no doubt my phone is protected this is a great case for the price and its CUTE! It's durable and easy to clean! 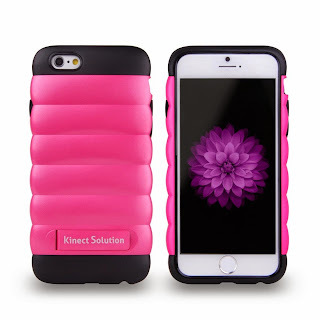 hard/soft shell with kickstand for complete protection. Protect your iPhone so you will not have to replace it. Hybrid case is versatile for sport or business with a sleek perfectly fit design that prevents any over heating of your phone.